A chic hotel designed for the adventurous traveler. Located on the outskirts of Hirafu village and offering a shuttle service to the chairlifts. 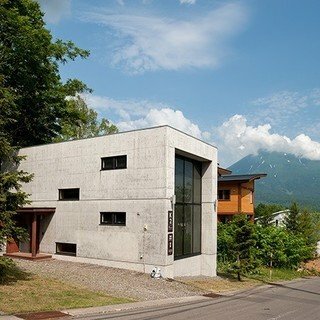 ALWAYS Niseko is the ideal choice for travellers looking to enjoy everything Niseko has to offer at an affordable price. Start your day right at ALWAYS Niseko with a breakfast buffet available at your on-site restaurant 'Elements' and be chaufered to the lift of your choice in Hirafu on the free shuttle bus departing every half an hour between 8.30-10.00. Chase the famous Niseko powder or race down groomers until your heart is content, and easily return using the free shuttle bus in the afternoon available 15.00-16.30, perhaps stop by the on-site bar for some lively après or have a chat with our dedicated guest services team to organise array of high quality services and adventurous activities. 'Elements' also offers wholesome fusion-style food from Japanese chefs if you fancy staying close to home for your evening meal, alternatively venture into town and explore the numerous culinary options Niseko has to offer just a 15 minute walk away. "Thoroughly enjoyed my stay here. It is a low to mid-range priced hotel, they recently renovated so everything is new. Staff are great at the 24-hour front desk and the hotel has its own restaurant and ski hire. Had everything we needed and was a nice place to look forward to after a long day on the slopes. It was about a 10 min walk to the village and the closest lift (family lift), but the hotel also offers a free shuttle service the main parts of town every half hour. It lacks some of the bells and whistles of more expensive hotels e.g. there is no onsen and it isn't as centrally located as some other places. Recommended for an enjoyable, affordable stay." "Fantastic location, walking distance to the main town and also excellent bus service around the town all throughout the day and evening. Super convenient. Great service and help in organising transport to and from the airport as well as trips around Niseko area. Lovely staff. Great range for breakfast, western and Japanese selections. I highly recommend this place for families, groups of friends, couples, it suits all types of travel. They also have a mobile phone you can use for free and take with you for your entire stay for free calls and free unlimited internet. Very helpful." "Great size, cosy, room with lots of storage, amazing staff, easy shuttle bus or a short walk to town and the bar was a great space to meet friends." "This place rocks. Shuttles from hotel around the town, great accommodation, clean and fresh, awesome service. Great price too. They have a great design here. Will definitely be staying here again in the future!" "This is a great new hotel! Great value and is well appointed. Service is excellent and rooms are of a good size and have nice touches like thoughtful storage, hooks and even USB ports to charge devices. It is a bit outside the main village but the shuttle service (every 30 mins) to the Family Chair, Welcome Centre and Hirafu Gondola is excellent." 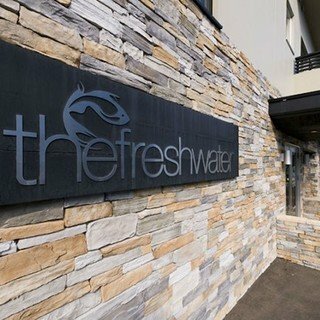 Located right in the centre of the village, Freshwater offers beautifully designed spaces in an ideal location.